Comandante Pepe was shot on this date in 1973. 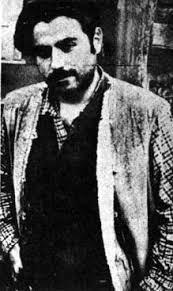 Jose Gregorio Liendo (English Wikipedia entry | Spanish), a onetime agronomy student, had quit his studies years before to join a Marxist guerrilla organization. From the gorgeous inaccessibility of Chile’s mountainous border with Argentina, the Revolutionary Left Movement (MIR) launched pinprick-level attacks on the state in the late 1960s and took land reform by the barrel of the gun by seizing farms around Panguipulli for the use of workers. The quixotic former student turned campesino revolutionary, Liendo became one of MIR’s most visible public faces under the nom de guerre of “Comandante Pepe”, even settling down in the mountains and marrying a local. That moment ended abruptly with the September 11, 1973 coup replacing a socialist administration with a far-right military dictatorship — and the latter immediately began slaughtering leftists. The MIRistas themselves managed a few small attacks on the Pinochet regime in the weeks following the coup but were speedily overwhelmed. Captured after an attack on a carabineros station, “Pepe” with eleven comrades — a mixture of students and lumber workers — were captured and condemned to immediate execution by a drumhead military tribunal in Valdivia. There’s a recent historical novel about this legendary character, Lo Llamaban Comandante Pepe (They Called Him Comandante Pepe).